Young adults ages 10 to 14 years old can be fully certified as Junior Open Water Divers. That means they read the same academic material, take the same tests, and perform the same scuba skills in both the pool and during their certification dives as do adults. So what do you gain when you take a dedicated Junior Open Water Diver course? Kids get to learn with other kids instead of adults. Kids get to spend a little more time learning the material and performing the skills. And we can make it a lot more fun! To increase safety standards, the instructor to student ratio for children ages 10 to 14 across all agencies is 2 to 1, which is half that of the adult ratios. That means we have dedicated more instructors to our kids programs so your budding scuba divers can learn in a safe and fun environment. 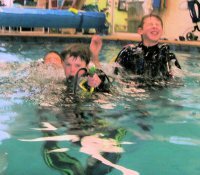 We welcome kids in our regularly scheduled adult classes as well, so make sure to check out our adult Open Water Diver Course offerings! Becoming a certified Open Water Diver is your first and most important step toward all your adventures to come. 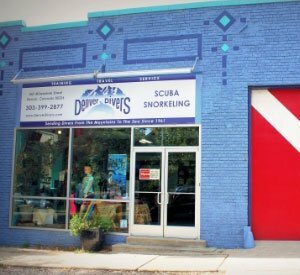 Denver Divers’ training philosophy is designed to give you self-confidence and safety in the water through focused personalized instruction and repetition. We offer several training benefits that will insure you learn how to dive safely and comfortably, bringing you a lifetime of amazing diving! Or call 303-399-2877 or stop by and pay for the class to reserve your spot. Upon registration, you will receive your online student materials and be asked to come in for a one hour orientation. Orientations are every Saturday from 10am-11:30am. Custom orientations are available upon request. 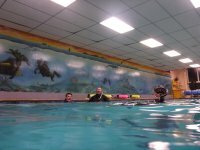 Regular Open Water Diver class and pool sessions are offered over a weekend – Friday night (6-9pm), all day Saturday (9am-5pm) and all day Sunday (9am-5pm). Once you have received the SSI link to access your online student materials, you are ready to begin your home study for class. By allowing you to complete your course work at home, you will be able to spend most your your time with us underwater. Please expect to devote approximately six to eight hours to this process. We are here to help you succeed. Our Training Philosophy is embodied in the SSI platform, "Comfort Through Repetition", where if you continue to learn, practice your skills and become comfortable in the water, you will have an amazing experience as a scuba diver. 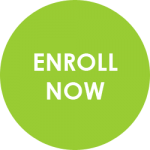 Our classes are built to give you the opportunity to learn at your own pace and practice your skills as much as possible. We want to make you a diver for life, so we look forward to you joining us on your journey to the underwater world. And both Scuba Rangers graduates and Junior Open Water graduates can join us for our "Specialty Rangers" activities. Ask a Denver Divers staff member what the next kids events will be!